I think Akio Toyoda is in our side based on what he's said, what he's done, and conversations with him. That is, inasmuch as any profit- and growth-oriented car executive can be on our side. So this article from Bloomberg about Toyoda trying to get kids to care about cars is an interesting acknowledgment from the world's beigest automaker that, perhaps, their cars aren't cool. So, there's a bit of acknowledgement that the issue isn't "coolness" as much as it might be they simply can't afford a car. He’s also mindful of his own look — typically a dark suit and rimless eyeglasses. At Meiji University, he rode in a Segway-like Toyota Winglet, donning khaki pants rolled up above the ankle, a square-ended crimson tie, black wayfarer glasses and a trendy hairdo. Someone, please, get me a photo of that. Mostly, he shared his passion for cars and how they should be loved like babies or pets, not commoditized like fridges. Once again, that's your own company's fault, Akio, so do better in the future. 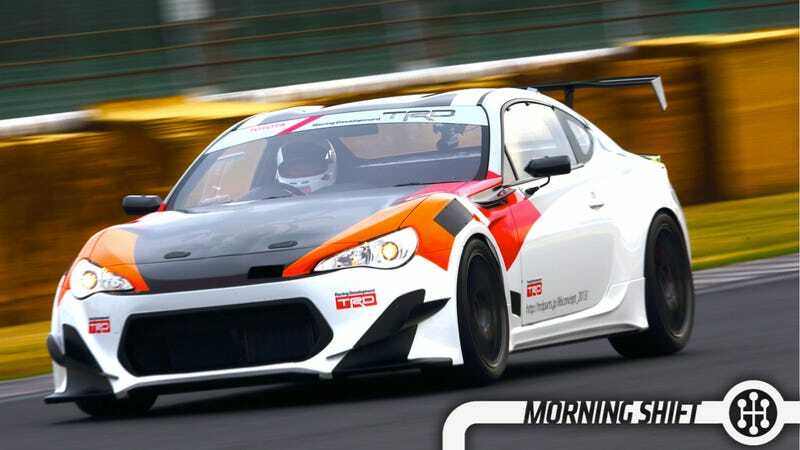 The GT86 is a good step, but you've got to do more. Ford has rightly guessed that people hate parking and has always been on the forefront of cars-that-park-themselves technology, and now they've developed a car that will find its own parking spot, even without a driver in the car. Volvo has also shown this kind of technology. Who will be the first to actually implement it? Ford CEO Alan Mulally may not be going anywhere soon, but that doesn't mean Ford's board isn't thinking about what happens next. The smart money is on Mark Fields to take over. The slightly less smart money says Mulally doesn't prance to Microsoft until later next year. Either way, it's going to be one of the big topics of discussion at the next Ford board meeting reports Bloomberg. Ford can survive Ford's departure, but I'm sure shareholders would rather plan an exit as oppose to having to scramble. All today's news is from Bloomberg from some reason, so here's a story will be watching closely about Toyota having to go to trial over the Beige Bites Back/Sudden Acceleration issues. Ida St. John, then 83, was hurt when her 2005 Camry crashed in April 2009 in Columbus, Georgia. She died after the accident and her grandson is pursuing the lawsuit. He doesn't claim the accident caused the death. The case is the first one to go to trial of the personal injury and wrongful death cases consolidated in federal court. The grandson is claiming that Toyota knew about the defects and didn't warn people. If this doesn't get settled and does go to trial we're going to learn a lot more about what was going on at Toyota at the time, hopefully. As everyone freaks out over the future of our economy there's a lot more action in the credit-default swap markets as people prepare for doomsday. A credit-default swap is basically a financial instrument that pays off if someone defaults. Think of it as financial insurance. What's interesting is, according to the Wall Street Journal, VW is heavily in that market. The outstanding volume of U.S. credit-default swaps rank 98th at $23 billion—behind numerous European nations led by Italy, many of the globe's largest banks and a handful of large nonfinancial companies such as Volkswagen AG and Computer Sciences Corp. Neutral: Moving TMS To 930 Now that we're back in the season where there's actual product news, I'm thinking about moving TMS to 930 so we can lead with product news and then follow with industry news. Does anyone care? Preferences?